With the dust starting to settle on a memorable FNB Dusi Canoe Marathon, the call has gone out to brave paddlers keen to take part in the 2018 Non-Stop Dusi Canoe Marathon on Friday, 2 March, taking paddlers down the same route from the start at Camps Drift in Pietermaritzburg to the finish at Blue Lagoon in Durban in one day. With the province still in the grips of a four year long drought, the race organisers have made it clear that any K1s or K2s brave enough to take on the challenge of the 2018 Non-Stop Dusi must not expect the same water conditions that the FNB Dusi enjoyed. The three-day event was able to take advantage of a full Henley dam release that provided good water for the first and second stages, and the annual ecological flush from Inanda dam for the final stage into Durban. For the Non-Stop Dusi, the Henley water is uncertain, and it is extremely unlikely that there will be any water from Inanda dam. “The motto of the Non-Stop has always been that you race the river in the condition that it is in,” stressed Natal Canoe Club General Manager Steve Botha. “We don’t want people to arrive expecting water releases because the reality is that there is very little chance of that happening. “We cannot guarantee that there will be a water release from Henley and the chances of a release from Inanda Dam are near impossible. The Non-Stop traditionally follows soon after the FNB Dusi Canoe Marathon so paddlers can just maintain their level of training going into the gruelling 100km Dusi-in-a-day journey. The Non-Stop Dusi has very lenient rules guiding where paddlers can and cannot portage. There are many sections of the river that have to be paddled in the Dusi that Non-Stop paddlers can skip by taking portages. Inanda Dam is another area where paddlers are able to run as opposed to paddle. 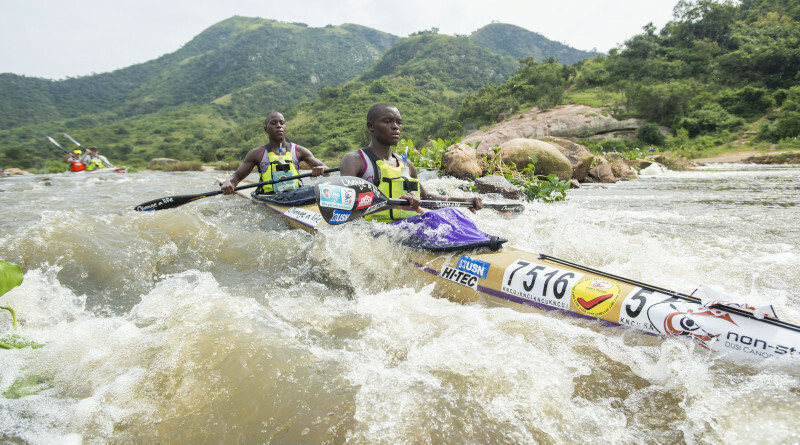 In the Dusi, the stretch from the headwaters of the dam to the dam wall is completely changed with a portage allowing the athletes to cut off a significant section of the dam. Martin Dreyer’s Change a Life Academy dominated the event last year with Under 23 Dusi champions Mthobisi Cele and Mpilo Zondi winning the race ahead of Euro Steel/Red Bull’s Sbonelo Khwela in second and Banetse Nkhoesa and Nhlanhla Cele in third.